Constructing a 25-man roster is not an easy feat. Coaches and General Managers have the daunting task each spring of whittling down umpteen players to 25 men. A lot of things are taken into consideration when building that roster; things like options and service time definitely have an influence on which guys crack the Opening Day roster. A few weeks ago, Alex Anthopoulos made a somewhat surprising proclamation that they’d be “taking the best team north”. I say surprising because Anthopoulos has a fascination with carrying players on the roster who have no options left. But what if all that was thrown out the window? What if instead, the Blue Jays simply picked the 25 best guys to start the season on March 31st in Tampa Bay? Obviously, a lot can change between now and the end of Spring Training; some of these guys might have horrible games, some might get hurt, others not on the list could make a strong case for cracking the roster. There are probably a few points of contention when it comes to the 25 man roster, one being the final bench spot, the other being the final bullpen spot. I flip-flopped between Chris Getz and Dan Johnson, but ultimately settled on Chris Getz. His ability to multiple infield positions is a plus, and his reputation as a good defender could come in handy down the road. The Blue Jays will likely opt for Dan Johnson in the end, as that left-handed power off the bench may be something that’s too tempting to pass up. For the bullpen, I went with John Stilson; although he still has options left, I think he’d be a wiser choice over Dustin McGowan. Stilson certainly had a great year in Buffalo last year, and would be a great back-end bullpen arm. Had Neil Wagner not been sent down to the minors, I would have gone with him as the last arm in the bullpen, but not surprisingly Wagner’s surplus of options likely played a role in him not cracking the Opening Day roster. If Alex Anthopoulos really meant what he said about “taking the best team north”, the next few weeks will be crucial in constructing the best possible Opening Day roster. I’m of the school of thought that the Blue Jays really need to stop messing with players who have no options left. There’s a good reason why those particular players are out of options; they’ve been back and forth from the minors because they simply aren’t good enough. Stocking your team based on out-of-options is like the food in tupperware at the back of your fridge. You already know what you have. After reading that explanation, I’d say Alex Anthopoulos is guilty of making decisions based on the former, not the latter. Guys like Dustin McGowan, Todd Redmond and maybe even Jeremy Jeffress will probably make the Opening Day roster predominately because of their options status, not based on their performance in Spring Training. They may very well pan out and prove to be great additions to the roster, but why not just go with the 25 best guys from day one? The Blue Jays didn’t seem concerned last year by burning one of Sean Nolin’s options for one single start, so what’s the fear in starting the service clock time and potentially burning options with Marcus Stroman, John Stilson or others? 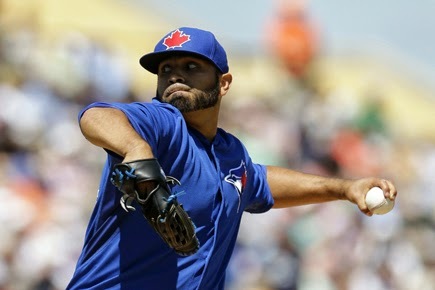 It’s also very likely the team will carry an eight-man bullpen to start the season, which will compromise the bench and leave the Blue Jays a position player short. The lack of the ability to play matchups late in the game has hampered the Blue Jays quite a few times in the past few years. While they definitely needed the extra arm in the bullpen with all the injuries to the rotation, ideally there should only be seven relievers. The only strategy I can foresee here is Alex Anthopoulos is hoping to trade guys like Jeffress, Redmond and McGowan for some sort of return down the road. If that is in fact the case, it’s the equivalent of rearranging deck chairs on the Titanic. Carrying players who are out of options will compromise the quality of this team. Just pick the best players on the 40-man roster, and run with them. 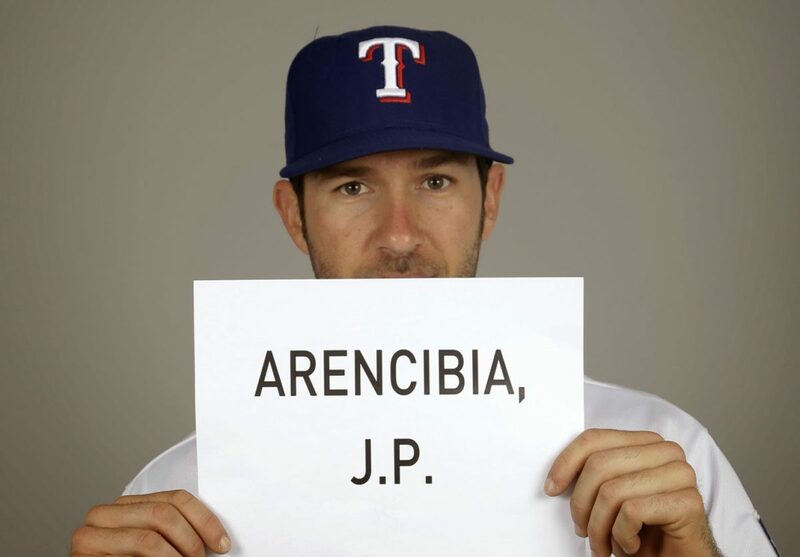 J.P. Arencibia Takes Shots at the Blue Jays?